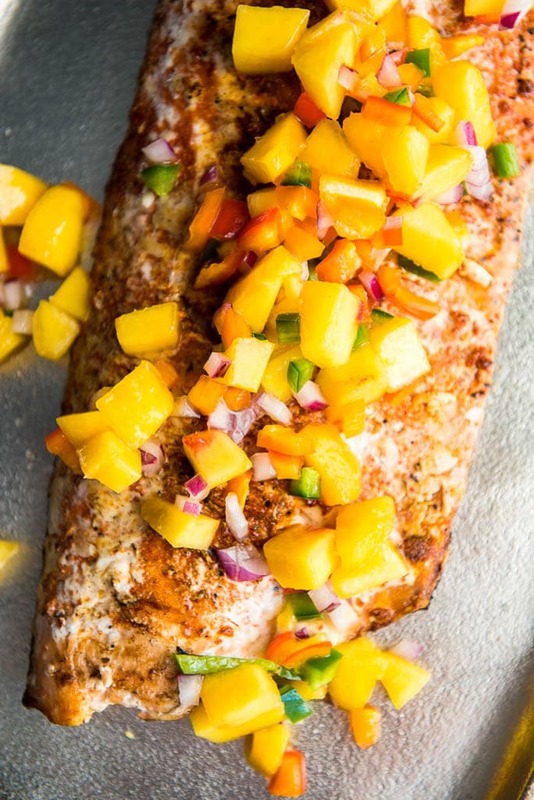 Less than 10 ingredients to make this simple Blackened Smoked Salmon with Peach Salsa on your smoker or grill! Enjoy this healthy dinner with your family this week! Do you enjoy cooking fish or does it ever feel a bit intimidating? 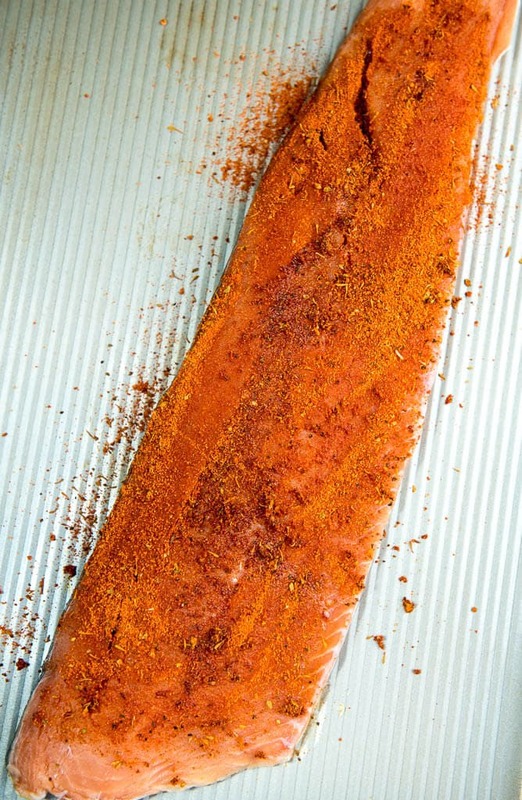 I find that making fish on the grill is just about one of the easiest ways to get perfectly cooked fish with the bonus prize of not stinking up your house with the smell of fish! I like to buy the large salmon fillets in the freezer because I live in Kansas and fresh seafood does not come easily. I find this is the second best way to get more fish into my diet without breaking the bank. 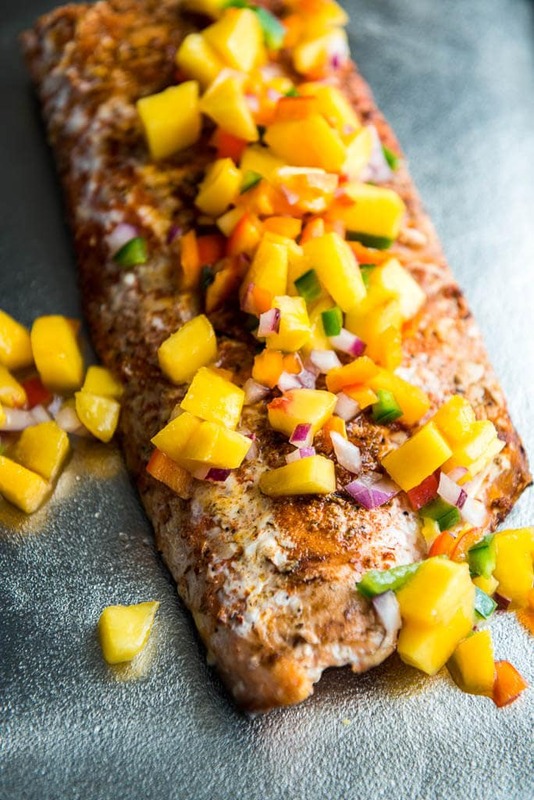 This Blackened Smoked Salmon with Peach Salsa is insanely simple to make and so delicious and fresh it will make you finally want to stick to that resolve of getting more fish in your diet every week. First up comes a generous rub of seasoning. I used blackened seasoning to give it that spicy smoky flavor that would go well with the peach salsa. And I really like seasoning blends for keeping things simple and not having to drag out the entire spice cabinet to make one meal. 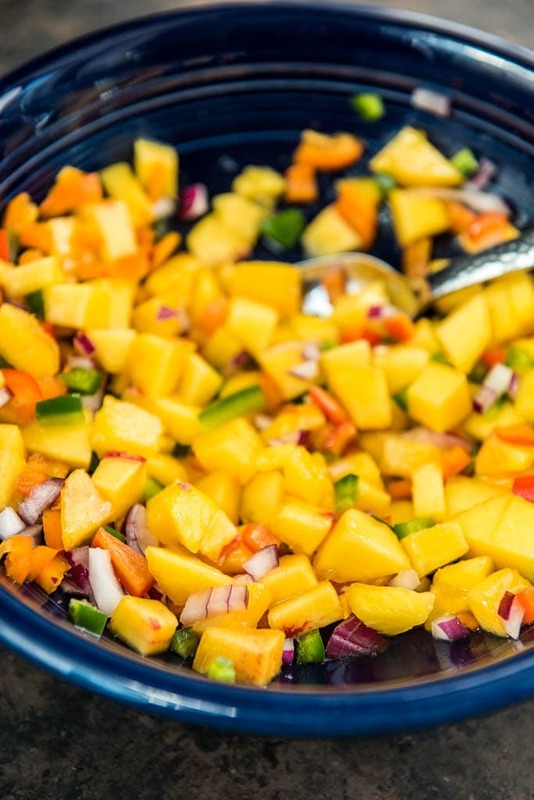 There’s nothing much I love more than a simple fresh fruit salsa, especially when pairing with meats or fish for dinner. The bonus is when you have leftovers to scoop up with some tasty tortilla chips. When I made a pan seared halibut a while back, I added a pineapple salsa, but I bet it would be delicious with the peach salsa too! Now, if you are on the hunt for an even milder, simpler fish recipe, you could head over and check out my tilapia recipe. So easy and so tasty!! 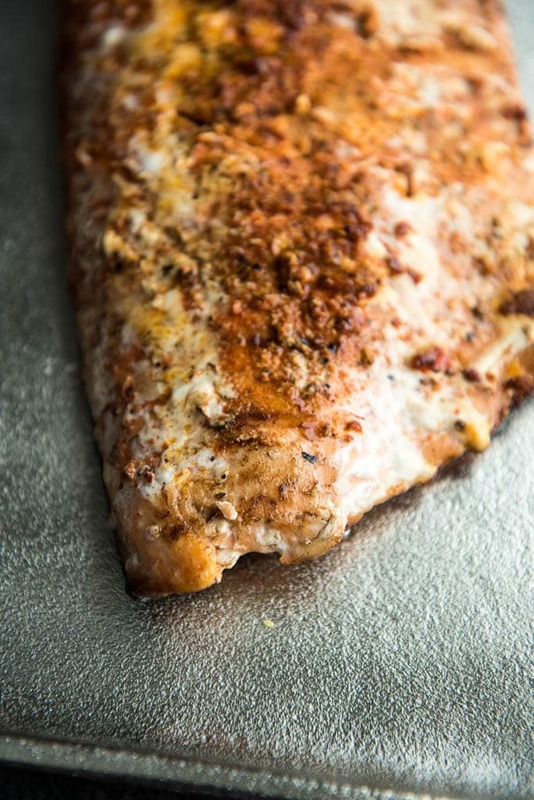 There’s noting better than that flaky, slightly crispy exterior of a piece of salmon that turns out all juicy inside. This is why I love grilling up some blacked smoked salmon!